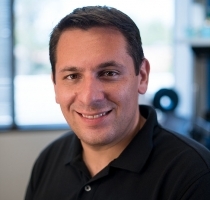 Ed Raskin serves as a VP and director of Beta Bionics. Ed is also a co-founder of Beta Bionics. He is responsible for developing and aligning the company’s business goals and objectives with its public benefit structure, social mission and B Corp certification. In addition, he helps implement strategies for maximizing collaboration and relationships with strategic business partners and investors around the world. Ed’s son Max was diagnosed with type 1 diabetes at the age of 7 and is was the original motivation for his work at Beta Bionics and transition from law to the medical device space. In late 2018, Ed was diagnosed with adult-onset type 1 diabetes and brings this new perspective to his work at Beta Bionics.